Life really is more enjoyable and less stressful when you create a self-sufficient life and home. Our goal when we first started on our self-sufficient journey 8 years back was very simple. To create a well-balanced, self-sufficient lifestyle on a 3 acre plot of land. We wanted to become responsible for most of our own food through growing and preserving. And we wanted to take an active role in creating everything we could with our own four hands. 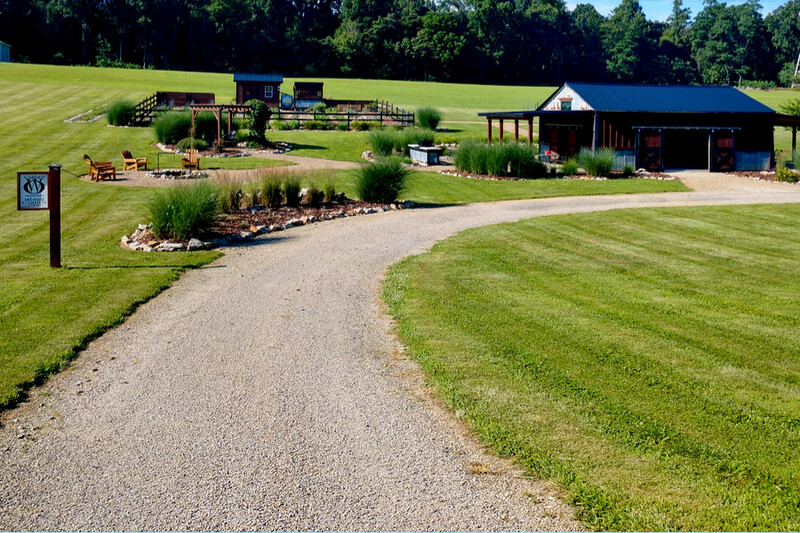 When we started our little 3 acre farm – all we really wanted was to be able to become more self-sufficient, and to enjoy life at a slower pace. Why? To live better. In more poignant terms – to slow down, enjoy life together, and work together to build our dream. Because quite simply, if you are not enjoying what you are doing, why are you doing it in the first place? About 6 years back, we created one of our most-read articles on the keys to creating and living a more self-sufficient life. And as we head near the start of a new year, we thought it was the perfect time to update it for those looking to do the same. We hope you enjoy! Do you really want a more self-sufficient life and a healthier you? Then grow some of your own food! It is amazing how many people who struggle with finances or healthy living let the wide open space in their backyard sit empty. Growing your own food is one of the easiest ways to save money – and become more self-sufficient. Food is expensive. And growing your own can go a long way. According to a recent USA Today article, it can cost anywhere from $175 to $275 per week to feed a family of four. 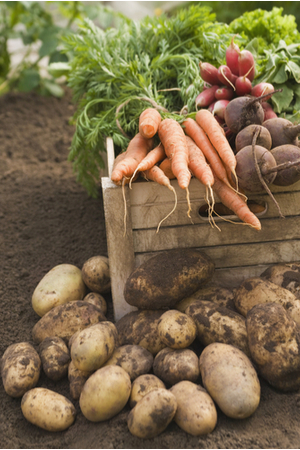 Imagine how much more self-sufficient you can become by simply growing your own food! And nothing is more satisfying. When you grow something for yourself or your family, your entire outlook changes. You begin to realize how much more there is to life than just cell phones, computers ,and running around in circles. If you have a bit of land out back, plant a garden. Or, if you have a patio, create a few planters and grow potted veggies. If you have neither – then find someone who does and rent a small plot. You can also join a community garden and create your space to get growing. 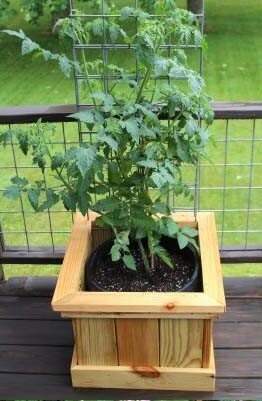 You can easily grow vegetables in containers on patio and porches. Our garden has always been the centerpiece of our home. It not only feeds us, but serves as our own personal work-out space and mental rehab lounge as well. 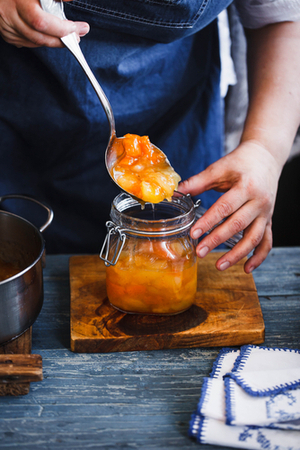 Nothing will stretch your hard-earned dollars more than learning to preserve food. It’s one thing to have fresh fruit and vegetables in season. But if you really want to become more responsible for your food, you need to learn to preserve those big summer harvests in order to have inexpensive and healthy home-grown food the whole year around. Canning is a great way to preserve food for winter. Freezing, drying and canning are all excellent methods to preserve food. And all are quite simple to learn and master. You will be amazed at the taste of home-grown green beans in the middle of the winter. Or homemade pasta sauce on a cold February day. If you can’t grow your own, you can always buy in bulk at farmer’s markets, or from a local grower. Beyond the financial benefits, preserving your own food keeps preservatives and hundreds of commercial additives out of your diet. And that is always a good thing! Living a more self-sufficient life starts with the obvious – doing more things for yourself! One of the absolute best ways to start is to learn to work with basic tools. It’s not as hard as some think. 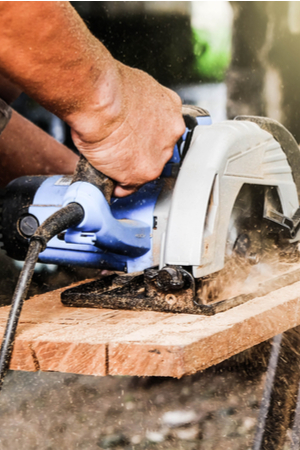 Learning to work with tools can go a long way in becoming more self-sufficient. In this day and age, if you truly want to learn how to make a kitchen table, fix a door, or build a patio – there are plenty of resources on-line to help you. All it takes is a little time, a little patience, and the willingness to work. If we had a dollar for every time someone asked us “how did you learn to do that?”, we would be millionaires. 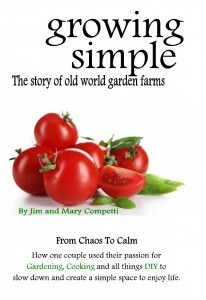 Our Growing Simple book. The largest chapter in the book is dedicated to failures! It was the only way to learn to succeed. The key? We learned because we tried it – and honestly – usually failed at whatever it was we were building or creating the first time. And most likely the second and third time too! But we kept at it until we learned it and eventually got it right. It really is that simple approach that makes all the difference between success and failure. One of the best ways to have a self-sufficient life is to learn to embrace failure. Remember that you never really fail at anything until you give up. So don’t give up! Becoming organized is a big key to a stress free, self-sufficient life and home. Clear out the clutter in your home, office space, car – and wherever you spend your time. 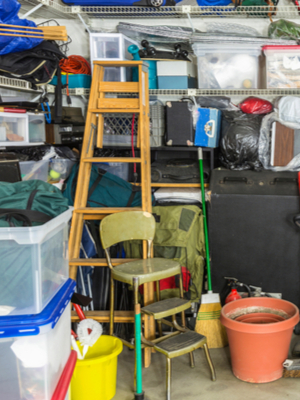 Clutter not only increases stress, it lends itself to an unproductive lifestyle. Begin by getting rid of what you don’t need and don’t use. And then, more than anything else, stop buying more unless it truly serves a purpose. It is amazing to see how many possessions we collect that have no impact in our life. That is of course, other than burn up hard-earned cash – and clutter the closets, garages and basements in our home. Wintertime is a great time to start clearing the “clutter” from your life and home. Sell or donate the possessions that have value. Recycle those that don’t. But whatever you do – clear the clutter! Not only does this tip save you big money on household finances – it will cut your stress levels in half! It is truly amazing to see how little we need, and how better we operate when we only have what we need. See : Decluttering 101 – The Simple Experiment That Changed Our Life! We talk about this a lot – and yet it truly is the single biggest piece of advice we could ever give. 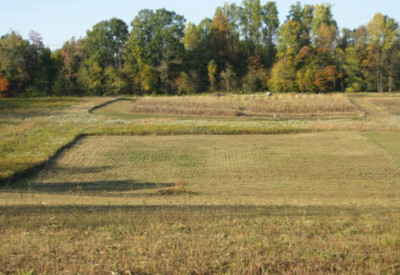 The farm as it looked in 2010. The only way to build anything is a little at a time! Whatever you do, find a little time each and every day to work at your dream. We call it the “15-minute a day approach” – and it really is how we accomplish things. Tasks can seem insurmountable when you look at them on the whole – but if you keep at it a little every day – it breaks down into a manageable process. With a little work every day, good things start to happen. Here is to living a more self-sufficient life! Jim and Mary. ← 5 Great Gardening Books For Christmas Gifts And Winter Reading! If you are a veteran with a dd214 you can get 10% off the porter cable tools set at Lowe’s. I just love your site. It has truly inspired me to make some positive changes in my life and home and to really value self sufficiency. I love when you talk about using that backyard that is just sitting there…..I have slowly added vegetable beds and blueberry bushes (mounds) and pots….and there is still a lot of grass to mow. My goal is to grow it-not mow it!! !